I’m pretty ashamed to admit this, but I currently have 5,231 unread emails in my inbox. The inbox-zeroers among you may be disgusted with me right now. And I understand. But let me explain. Like everybody else, I get flooded with emails every day. Aside from the obvious, such as conversations with clients, notifications from Hubspot, and some miscellaneous junk, I also receive lots of marketing emails from publications I have willingly signed up to, and that I like. When it comes to content, I use my email a lot like I would a social media feed. If something catches my eye, I’ll click it. So it’s more important than ever that an email subject line stands out among the dross. But what makes an email subject line catch the eye of people like me or you? Take a look at our tips that top performing businesses are using to boost open rates with enticing email subject lines. Obviously, you are sending an email so that your recipients will take some sort of action. So there’s no use floundering with your language if you want people to act now. You can use urgency and scarcity within email subject lines to compel readers to click or act on an email. Think about those emails you receive from Airbnb that tell you that the city you’re visiting is in ‘high demand during August’. You definitely feel compelled to book after that! Make sure to use these types of headlines sparingly, however, to avoid being seen as a brand that speaks entirely in hyperbole. Remember, people are only scanning their email, so there's no space for long waffling sentences. 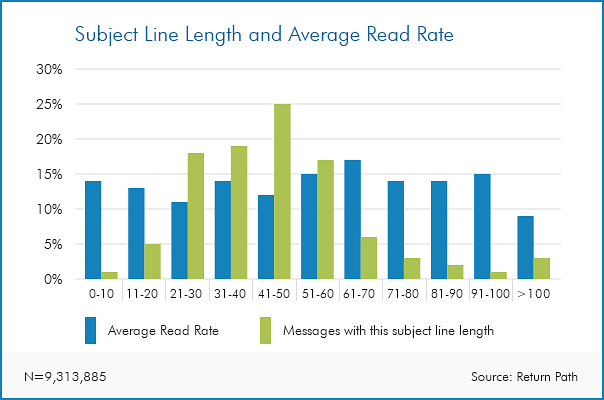 Research by Return Path found that subject lines of 61 - 70 characters long had the highest read rate (17%), with 65 characters being the sweet spot. I’ve never opened an email quicker. Now, I don’t remember if I took any action on the email, or even which company it was from. But I never forgot how curious it made me feel. But sometimes it works to pique somebody’s curiosity enough for them to open the email. An example I’ve used recently is ‘Here’s why the top businesses all have a CRM…’ which outperformed ‘Think you can do without a CRM? 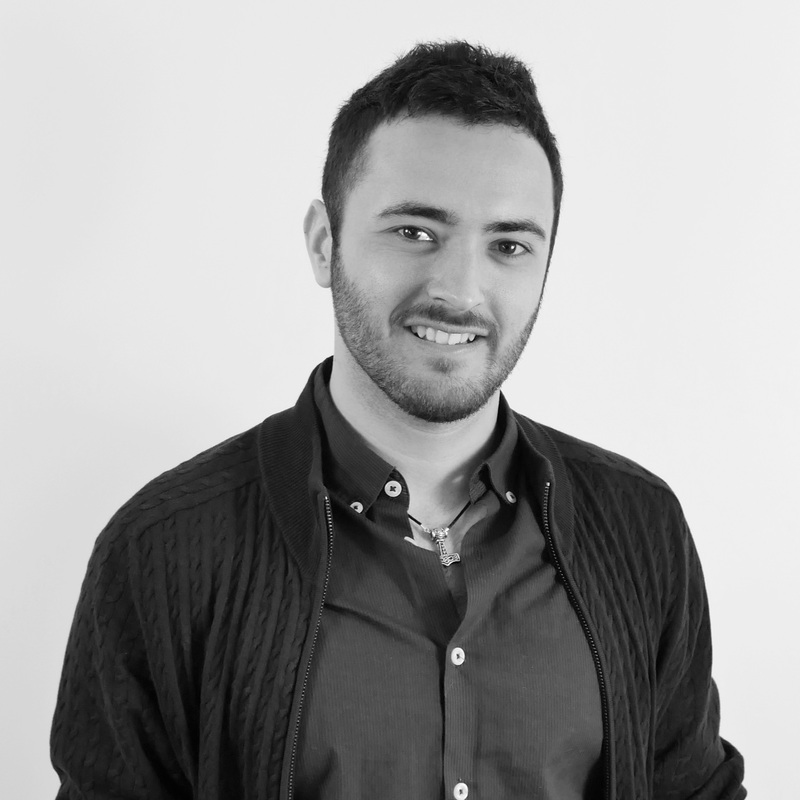 Think again…’ by almost 10% in an A/B test. People love free, or discounted, stuff. So have you tried using that fact within your email subject lines to generate more leads? Hubspot have previously A/B tested the use of the word ‘free’ within an email, and actually found that it decreased the amount of email opens. Crazy, right? However, that doesn’t mean that you shouldn’t try it, or make it clear that you have a discount or brand new offer within the email content itself. Mix it in amongst the other tips in this blog and see how your audience responds. Marketers know that content only works if you also have context. That’s why understanding your audience’s pain points, as well as where they are in the buyer’s journey, ensures you're sending the right email to the right individuals. That’s why a powerful CRM is an essential tool within the marketing and sales toolkit - it allows complete visibility over the actions your contacts are taking on your website, and how they are engaging with your brand. I still remember the first time I started receiving personalised emails and content. How do they know my name? My company? My shoe size? What is this sorcery?! Marketers now have an unbelievable wealth of information at their fingertips, with information about subscribers' preferences, jobs, likes, and dislikes. Dialling into the above, and using my name or company name, for example, ‘Tom, learn our secret to generate more leads for Yellowstep’, can have me quickly scrambling to open the email. Also, making sure you’re sending the email from a person, rather than just a hello@ or marketing@ email address, will make your audience realise that they're not talking to a group of robots. Like them or not, emojis are here to stay. In fact, Email Marketing Daily reports that “the use of emojis in mobile and email marketing messages has increased 775% year-over-year”. Before you go ahead and use them, it’s worth being aware that some emojis are not visible in some email clients, and using them might not even fit your brand at all. But if used in a smart way, they give your subject line a chance of standing out amongst other plain-text emails. Likewise, if you can find a witty pun or engaging turn of phrase within your email subject line, then it’s worth at least testing how your audience responds. As mentioned many times throughout the article, testing is the only way you’re going to understand what your email database responds to. Software like Hubspot gives you visibility over which subject lines were successful, including who opened, and who clicked within the email. It’s not worth testing if you’re not going to implement going forward though, so make sure you document your A/B tests. You will then have a collection of ‘best practices’ for your audience when picking email subject lines. There are tons of different approaches to delivering an enticing email subject line, and hopefully some of our tips above will give you some ideas to increase your open rates. The most important things to keep in mind are to ensure your subject line links appropriately with the email content, and that you aren’t compromising your brand in any way. If you are using a great CRM, it will also be worth leveraging the information you can get out of it to add more context and personalisation to your email. But keep testing the different approaches above, and your email subject line will result in more leads, opportunities, and sales going forward.